When it comes to transforming your home into the home of your dreams, an important part of the project that you can't overlook are the window treatments that you choose to help accent your design and contribute to the overall function and beauty of your home, but unfortunately, this is a part of home design that many homeowners let fall by the wayside, and their homes suffer for it. When it comes to finding the right window treatments for your Rock Hill home, you want to be sure that you have the name of a team of experienced shutter and window blinds experts, and there is no one better suited to the task of helping you maximize the beauty and function of your home than the team of experts right here at Sweet Shutters & Shades. When it comes to your home's window treatment solutions, our team of Rock Hill professionals believe that you should never have to settle for anything less than the best, and when you make the call to our team of experts, you never will. 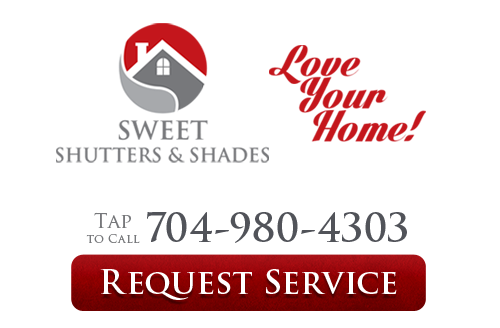 Here at Sweet Shutters & Shades, our team of Rock Hill shutters and window blinds experts have over twenty years of experience in helping homeowners just like you find exactly what they need to enhance the beauty and the function of their homes. We offer a wide variety of services, and have a large selection of different products for you to choose from to help ensure that you can always get the results you want and need for your home's design. We make use of some of the highest quality products from some of the industry's most trusted manufacturers to ensure that the results of your service are something that you and your family will be able to enjoy for many years to come. If you have any questions about our full line of high quality shutters and window blinds services, or if you would like to schedule an appointment for consultation with one of our specialists, give us a call today. Our team of experts are always standing by and would be more than happy to assist you in any way we can. 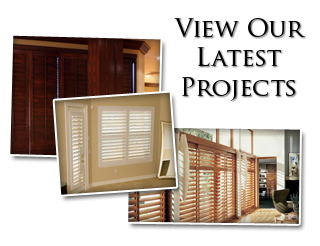 We want to be your go to shutter company for Rock Hill window treatments. When it comes to quality window treatment options for your Rock Hill home, one of the most popular among homeowners all over the country are high quality shutters. Shutters come in a wide variety of different styles, materials, and colors, so no matter what kind of design you are trying to put in place in your home, you can rest assured that there is a shutter option out there that will give you what you're looking for. Here at Sweet Shutters & Shades, we specialize in both plantation and polycore shutters, and our team of experienced professionals would be more than happy to sit down with you and help you discover how these two particular options can help you enhance the overall beauty and the function of your home. Whether you are looking to help cut down on afternoon glare in your home, limit the amount of natural light that comes through your windows, or you are just looking to enhance the privacy of your home, new shutters could be just the option you've been searching for. In addition to our full line of high quality shutters, we also have a wide range of different window blind options available if that is more your style. 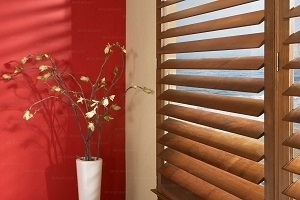 Just like shutters, window blinds come in a wide range of different styles, colors, and even materials, so whether you are looking for something sleek and elegant like vinyl, or something more warm and natural, like wood or faux wood, there is an option out there just for you. Of course, these two options are just an example, and we also have a wide selection of different options to ensure you find exactly what you need for your home. If you are looking for an experienced Rock Hill shutters or window blinds professional, give us a call today at 704-980-4303 or fill out our online request form.